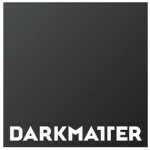 The LPW is developed and built by the Dark Matter Foundation. Ilse Pfaffenhofer, Cobi Hems, Danielle Jansen, Judith de Wolf, Raymond Flipse, Michiel de Boer, Huub Linssen, Rene Schellekes, David Hamers, Ed van Oosterhout, Ruben van der Burgh, Jacco Scheer, Stefan Leenders, Marc Konig, Wilfred van Eerden, Roel van Gaal. What started with a fantastic idea is now becoming reality of 6 by 12 meters. That’s large! I can’t wait to it running its waves. Good luck and a whole lot of fun in the construction phase. Zijn heel benieuwd naar jouw large pendulum wave! Succes met het afbreken en weer opbouwen.